In many cases, once the cause of the back pain is identified, treatment can be provided. Initially this often begins with non-surgical therapies such as spinal manipulation, pain medication, muscle relaxants and epidural injections. However, if and when these treatments are found to be incapable to giving the patient the pain relief that they require, many turn to spine surgery in a bid to alleviate their discomfort. - A laminectomy. This is performed to relieve nerve root compression (aka a pinched or trapped nerve) on one or more nerve roots in the spinal column. Trapped nerves can cause pain in the back and legs. - A discectomy. This procedure removes a portion of an intervertebral disc, which then relieves pressure on a spinal nerve. - Spinal fusion surgery. This involves permanently fusing two or more vertebrae together, creating more stability in the spine and reducing back pain. Unfortunately, many patients fail to make the distinction between symptoms and conditions. Back pain is actually an indicator of an underlying medical problem that affects the spine and spinal nerves, but not an actual condition in itself. This means that in order to be able to treat the pain, it is necessary to identify exactly what is causing it. Regrettably, in the vast majority of cases, the exact cause of non-specific back pain is virtually impossible to pin down. Therefore, despite being able to address many different spinal problems, spine surgery is not a guaranteed fix for all types of back pain. 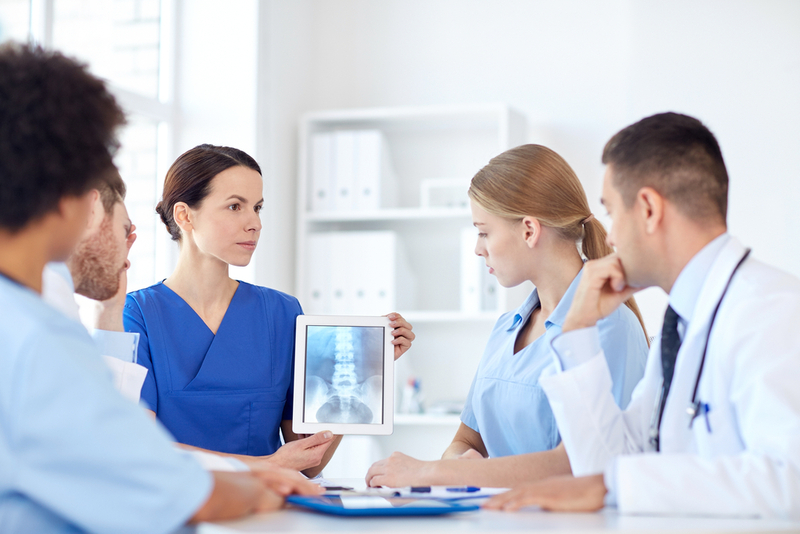 So, what can spine surgery be used to treat? It is important to note that even though spine surgery can address a variety of problems, included those listed above, there is no guarantee that the patient’s pain will be completely eliminated. Can spine surgery help alleviate my back pain? Ultimately, whether or not spine surgery can help alleviate your back pain will depend on the underlying cause. To determine this, Luis Tumialan, MD will need to undertake a comprehensive evaluation of your health. This will likely include an extensive physical examination, a detail medical history and a discussion about the symptoms that you are experiencing, including where the pain is located and when it is at its worst. Luis Tumialan, MD may also order you to have some imaging tests such as x-rays or CT scans, which will provide an internal view of your back and spine. If you are considered to be a good candidate for spine surgery, it could improve significantly reduce your back pain and improve your life. However, if the exact cause of your discomfort cannot be determined, or if you are found not to be suitable, contact Luis Tumialan, MD and he will be able to recommend the best non-surgical therapies for giving you the best relief from your symptoms.